My big take away was that we don’t need the latest and greatest. If we focus on what matters, in this case it’s training and being more proficient at BJJ, then what gi we have or equipment we use doesn’t matter. If we live good lives and appreciate every moment we have with friends and family it doesn’t matter what car we drive or iPhone we have. 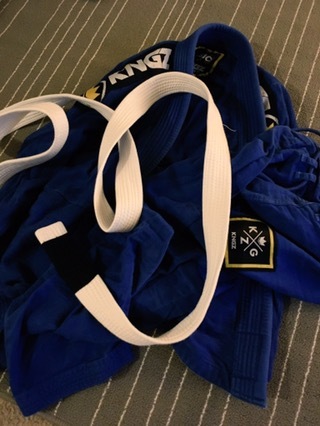 Side note: I must admit that I like looking at the “fancy” gi’s online and every now and then I have to remind myself, am I training to get better at a jiu jitsu and have interpersonal growth or am I training to show off my fancy gi (and get tapped out looking “cool”)? I plan on sticking with this gi until it can no longer be trained in.